What's The Worst Tuning Fuckup Ever Recorded? When you buy a new car, you generally know what you're going to get. When you tune that car, things can be a bit more of a mixed bag. There are very reputable tuning shops around the world where you can trust that your car will be returned to you better, cooler, and faster than when you dropped it off. Sometimes people leave their cars at their buddy's shop, and they end up with their battery held down with twine and their engine totally kaboomed. 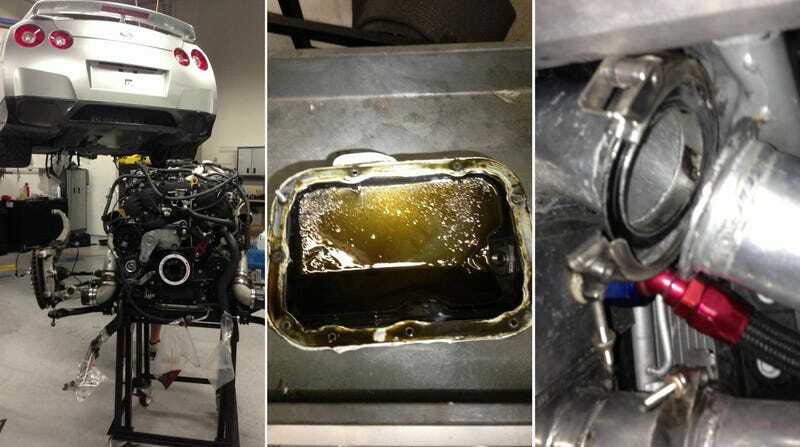 At least, that's what allegedly happened to a particularly hapless GT-R owner recently. So to all you forum junkies out there - what's the most astounding tuning shop fuckup you've ever seen? To qualify there must be evidence of the damage, so don't just say that your friend got his 350Z turned into a rusty shitpile one time and you never got pics. Well, do say that, just go get pics, too.